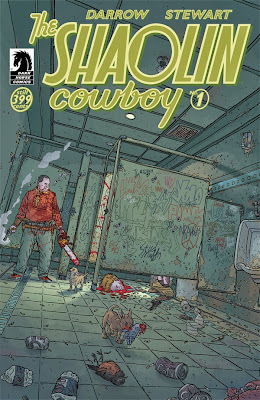 The Shaolin Cowboy returns, but nowhere in sight is there a dead Robin, any infinity gauntlets, or a single conquering Ultron—just flat-out action, intrigue, and plenty of roadkill. 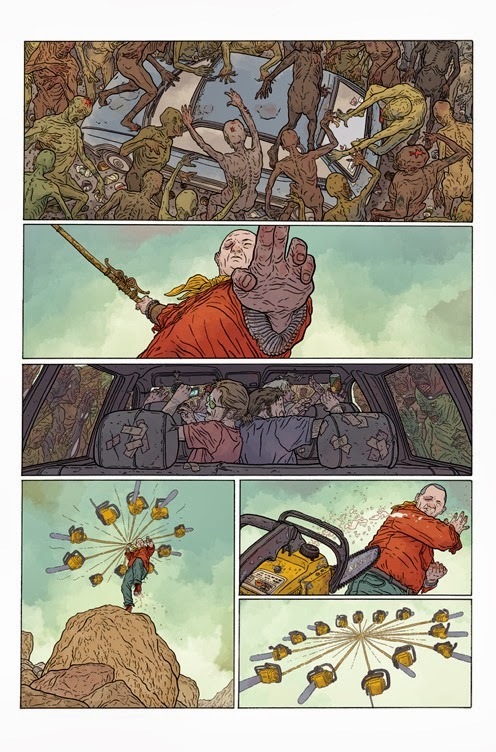 Geof Darrow’s slow-talkin’, kung-fu-gripping hero proves once again, in this brand-new new series, that the only thing that can stop a bad guy with a gun is a good guy with a chainsaw! * From writer/artist Geof Darrow (Hard Boiled, The Matrix)! * More action than the rest of your pull list combined! 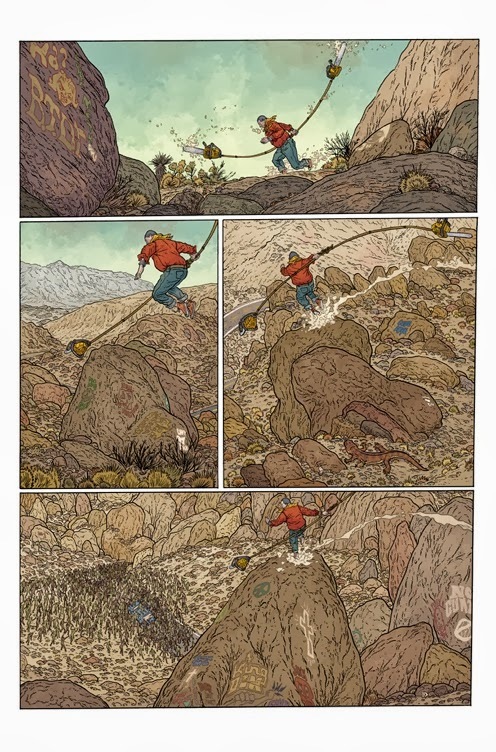 * All-new story! Start reading here! * Covers by Darrow and Walter Simonson! 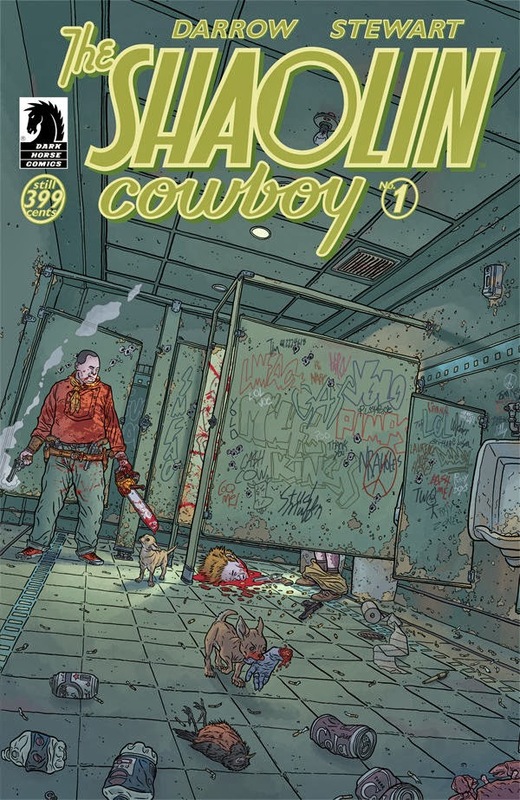 The Shaolin Cowboy #1 will be in stores this Wednesday, October 9th!